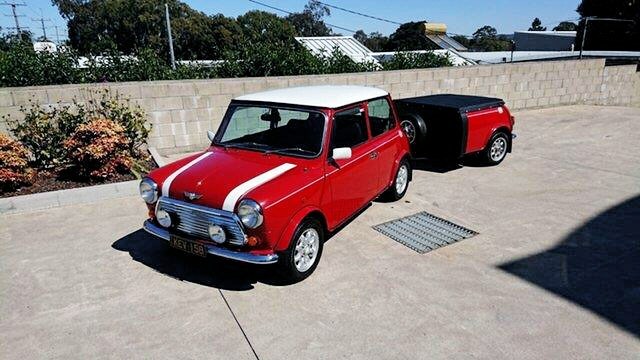 This lovely little car combines the looks of a classic mini with modern performance and reliability. 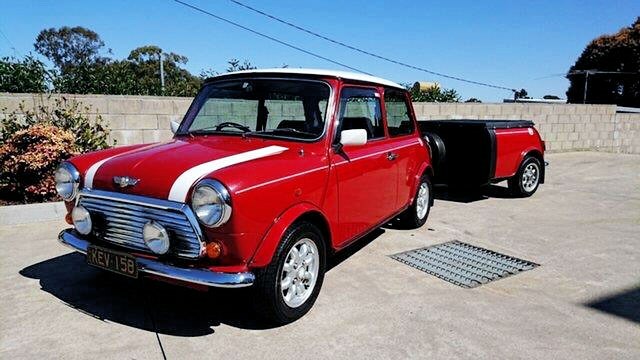 Features include a 1.3L fuel injected motor, 4 speed manual gearbox, coil suspension, air conditioning, USB audio and cruise control. 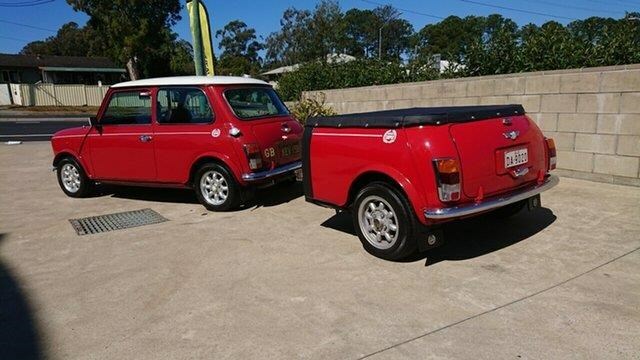 The sale includes a matching custom built trailer that is the back half of another mini built to match the car. 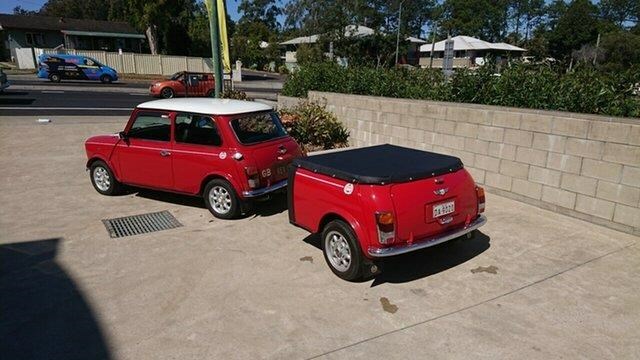 The trailer provides extra storage and has two 12v power outlets.